Takayama has a superb collection of first-rate sights. My carefully planned one-day and two-day itineraries allow you to make the best use of your time. 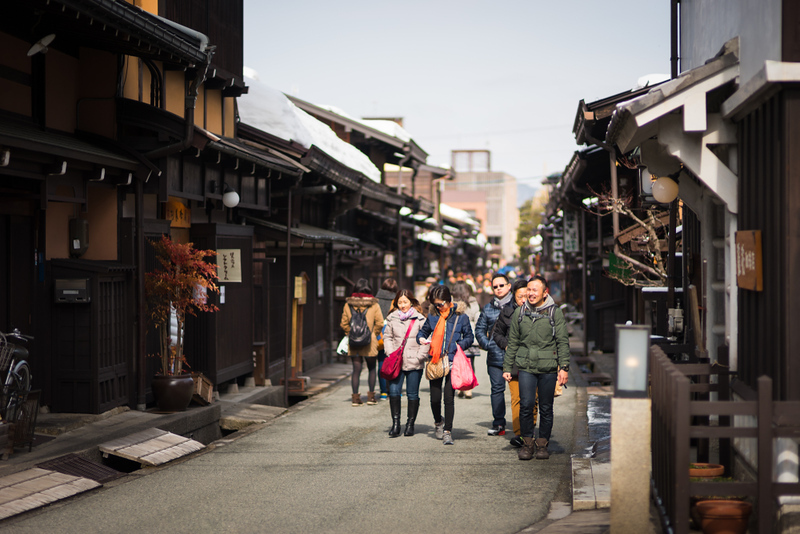 I’ve spent a lot of time in Takayama working to construct the ideal itineraries to maximize your precious time in the city. Choose the best one below to suit your schedule. For information on the sights mention here, see my Things to Do in Takayama page. For transport information, see my Getting Around Takayama page. For restaurant suggestions, see my Places to Eat in Takayama page. For my hotel suggestions, see my Takayama Hotels page or my Takayama Ryokans page. One day is enough time to see the main sights in Takayama. You have to spend a night in Takayama to do this (either before or after doing this itinerary). Trying to do this as a daytrip from somewhere else (like Kyoto or Osaka) would be impossible. For some suggested accommodations, see my Takayama Hotels page or my Takayama Ryokan page. Note that I describe this as a walking itinerary, but you can also rent a bicycle to do this. Start at Takayama Station or your lodgings in Takayama (which are likely to be near the station anyway). There’s a good tourist information center right outside the station where you can get maps and ask questions. Nearby, there’s a convenience store where you can get some cash. Walk one block north from the station to Kokubunji-dori Street and walk straight east, across the Miya-gawa River, for about 20 or 30 minutes to reach the Sanmachi-suji District. I recommend getting here relatively early in the day, because it will fill up with tourists later in the day. Take your time strolling around here, poking into shops and perhaps sitting down for a cup of tea or coffee in one of the many cafes. Walk north from the Sanmachi-suji District for a few minutes to reach two incredible heritage houses that showcase the incredible carpentry traditions of the area: the Yoshijima Heritage House and the Kusakabe Folk Crafts Museum. The latter is both a heritage house and a small museum. If you’re on a tight budget, check out only the Yoshijima Heritage House, but if you can, try to see both. Eat a bit before noon so that you can be sure of a seat in the restaurant of your choice. There are some restaurants near the heritage houses, but you’ll find more in the Sanmachi-suji District and in Central Takayama. See my Places to Eat in Takayama page for some recommendations. After lunch, walk up to the Sakaurayama-Hachimangu Area to visit the fine Takayama Festival Floats Exhibition Hall. Here, you can check out the incredible floats used in the Takayama Matsuri, the city’s main annual festival that is held in April and October. After checking out the festival floats, take a stroll around the nearby grounds of Sakaurayama-Hachimangu Shrine, the city’s most important Shinto shrine. After visiting the shrine, depending upon your mood and how far you want to travel, I recommend either a pleasant stroll along the temple-line path called the Higashiyama Walkway, which starts near to the shrine. If you’re feeling more energetic, head back to station and catch a bus, or flag a nearby cab to visit Hida no Sato, a great collection of thatch-roof houses in a pleasant park area about 2km west of Takayama Station. Either of the above sights should complete the day and you can make your way back to the station or your lodgings by around 4:30pm. While one full day is enough to see the most important sights in Takayama, two days allows you to see the sights in Takayama City and then do one day trip to a nearby town. This is my recommendation for anyone visiting the area. Do the Must-Do Takayama One-Day Itinerary described above. 1) Take a day trip to either Shirakawa-go to see the World Heritage-listed thatch-roof houses there. If you plan to do this, you can skip Hida no Sato on Day 1 (see above). 2) Take a day trip to the Shinhodaka Area and go up the Shinhotaka Ropeway (cable car) to catch some great views of the Japan Alps (not open in winter) and then take a dip in the wonderful Shinhodaka-no-yu Onsen. 3) Get an early start and take a day trip into the hiking center of Kamikochi, in the heart of the Japan Alps (not open in winter). Note that if you really want to enjoy this area, I suggest spending at least one night in Kamikochi. And, if you’re a hiker, consider a night up in one of the mountain huts in the Japan Alps.